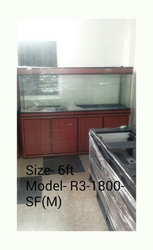 Imported Aquariums available for Wholesale & Retail starting from 3000 Rs. Sizes available 1.5 Feet, 2 Feet, 2, 5 Feet, 3 Feet, 4 Feet & above. Cleaning the glass tank is not a easier one for every user. We undergo a special method of cleaning the tanks using a oil, which makes our work much simpler and does not causes any harmfulness to our aquatic fishes. SHIPPING (Transportation) Possible, Courier Charges Extra. FIXED PRICE AND NO BARGAINING. Not Used. More Quantities available. TIME PASSERS PLEASE STAY AWAY. 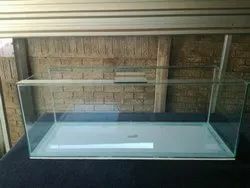 We are engaged in offering a wide range of Aquarium Glass Tank to our clients. These offered Aquarium Glass Tanks are highly demanded in industry for their quality material and perfect finish.